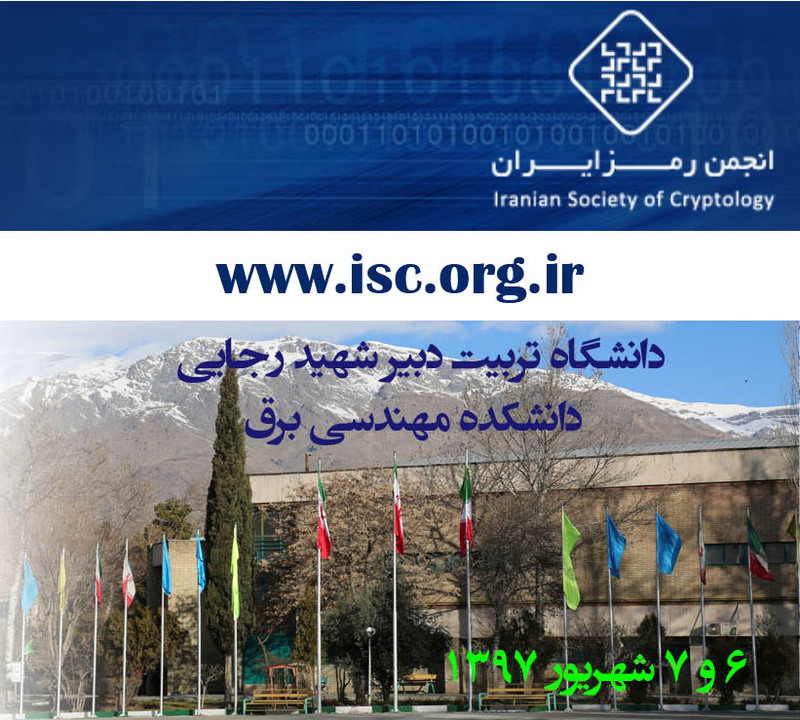 TEHRAN - The Iranian Society of Cryptology (ISC) is going to hold the 15th international conference on Information Security and Cryptology (ISC), known as ISCISC 2018, on August 28 and 29. Organized by Shahid Rajaee Teacher Training University, the event will be held with the support of the ISC. The objective of ISCISC 2018 is to bring together researchers, engineers, and practitioners interested in various aspects of information security and cryptology. The conference aims to provide a forum for academicians, engineers, specialists, and students from all around the world to meet and discuss the latest developments in theory and practice in various areas of information security. ISCISC 2018 encourages researchers, developers and practitioners to submit their original papers and organize workshops on various new emerging topics. Professor Debdeep Mukhopadhyay from Indian Institute of Technology Kharagpur, West Bengal, Christian Rechberger, Graz University of Technology, Austria and Iranian professors Mohammad Hossein Kheikhi, Mehdi Kharrazi and Mahtab Mirmohseni are the keynote speakers of the conference. Some exhibitions will be held on the sidelines of the event. Keynote, plenary talks and panel discussions are other side events of the conference. Fundamentals of cryptology, software and hardware implementation of cryptographic algorithms, security of data, systems and applications, digital forensics, network security, cloud and big data security, pervasive systems security and information hiding, steganography, watermarking are some of the topics of the conference.